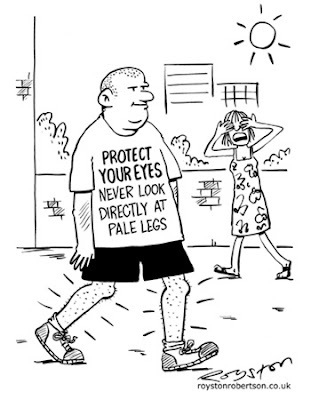 We British love to talk about the weather, so here's a joke about the lovely sunny spell we've been having lately. This cartoon appears in the new issue of Private Eye. They say we're in for a "barbecue summer", so get out and enjoy it. By way of a reminder, here's a weather cartoon from last summer. 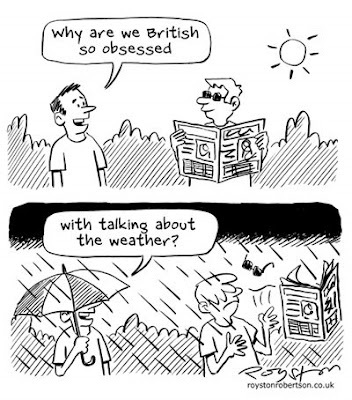 "Why are we British so obsessed ... with talking about the weather?" Your cartoons hurt my sides! I am adding a link to you now! I like to use those cartoons in my english tests. it has benn a great tool. Thanks. May god keep blessing your life. Thanks but I prefer if people ask before using cartoons (hence the message on the right hand side below the profile) as there may be payment involved.